Risk of South China Sea Strife if Beijing Attempts Defense Zone - Integration Through Media ....! 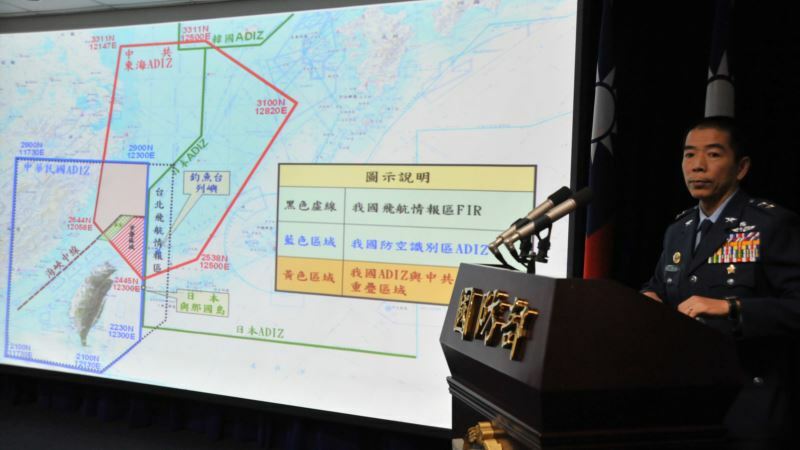 (VOA): An air defense zone declared by Beijing, or any effort to stop civilian ship traffic, would raise the risk of conflict in the disputed South China Sea after years of calm, because either move would inconvenience day-to-day operations, scholars who follow the region say. Five other militarily weaker maritime claimants have watched without major protest as China tests bombers, holds naval drills and considers nuclear power stations in the 3.5 million-square-kilometer sea. Last week Chinese news media reported tests of the country’s first domestically made seaplane, for possible use in the disputed waterway. But other governments — Brunei, Malaysia, the Philippines, Taiwan and Vietnam — would step up their protests if Beijing declared an air defense identification zone or began forcibly directing traffic of the numerous privately owned ships that transit the sea, said Alexander Huang, strategic studies professor at Tamkang University in Taiwan. Countries with competing claims now let one another use the open sea as long as vessels from one avoid islets held by the others. Commercial planes overfly the sea around the clock, and at least one-third of the world’s marine shipping passes through it, along with 1.6 million fishing boats. The East China Sea zone is more of a “political and symbolic practice,” Huang said. China has reclaimed land in the sea’s Paracel and Spratly island chains and sent military units to some of those newly built artificial islands. Other claimants have said little in recent years as China has stepped up investment and economic aid to its neighbors. China and the Southeast Asian claimants are working this year on a code of conduct to head off maritime mishaps. A spike in Chinese military vessels may upset people in the Philippines, for example, as the fishing-intensive country’s president, Rodrigo Duterte, tries to work with China but faces public skepticism about Beijing’s maritime expansion. China will probably avoid making new military moves, such as sending an aircraft carrier fleet, to avoid “driving ASEAN into the arms of the United States,” said Alan Chong, associate professor at the S. Rajaratnam School of International Studies in Singapore. Brunei, Malaysia, Vietnam and the Philippines belong to ASEAN, which stands for Association of Southeast Asian Nations.